CES 2013 officially opened its doors Jan. 8, 2013, but the doors will open one day earlier for journalists and elsewhere, the press conferences will start on 6 but many shall pass away January 7, 2013. As you can see in the schedule of keynotes and conferences below, there are some that we should not miss. LG: January 7 at 17h (French time) should present its G2 Optimus, tablet and another 4.7-inch smartphone but also many Novelties in TV. 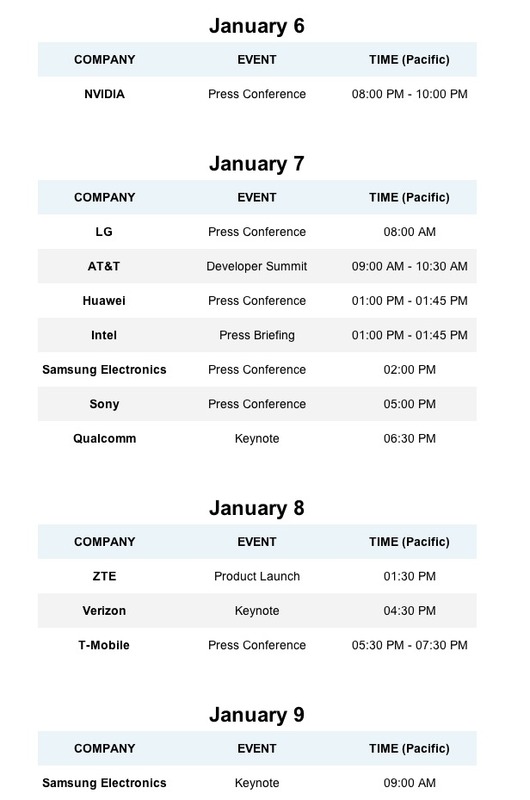 ZTE: January 8 to 22h (French time): certainly not bad news, but why not the first mobile Firefox OS? Obviously the CES for all technology products, the world of TV is very present, computers, tablet ... but also all the related technologies connected world. Samsung Galaxy S4 - The official photo?